Akiko Asahina is a singer from Ishikawa Prefecture. She was proud of the popularity in local Kanazawa, including singer activities in the name of "Todo Akiko" in 2007, but this time she is not a singer of the national ward, but rather "sometimes a bad lady" from Nippon Columbia on October 17 She made a major debut with. Not only popular songs but also repertoire including jazz is a singer who is excited about the future success. A direct hit interview with her in the following content. Ando: I was renamed Akiko Asahina as a major debut, why was it renamed? Asahina: For advancing nationwide for the debut of the whole country I got advice about changing my name and received the name of the singer "Asahina". 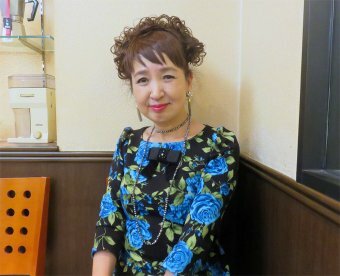 Ando: We invited Yukino Ichikawa to the guests at the new song presentation dinner show on October 21, but what is the relationship with Yukino Ichikawa? 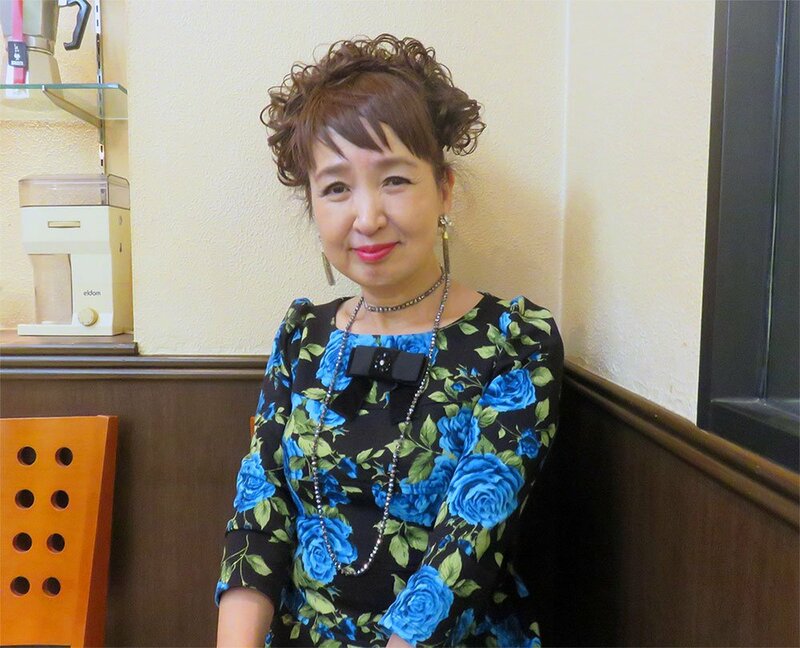 Asahina: A composer of Mr. Yukino Ichikawa's "Heartworking", "Livesome", and "Utakata no Onna" is a teacher Kohei Miyuki, composed by my new song "Sometimes the Wicked lady" and "Kaga Bojyo" Ms. Kohei Miyuki is also a person. We invited Yukino Ichikawa and Master Kohei Miyuki to the stage as being a disciple of Professor Kohei Miyuki. Ando: I think that the genre of songs is different in "sometimes a lady" and "Kaga Bojyo" setting in Ishikawa prefecture local, is it going to go on a popular song course in the future Is it going to go through Enka Route? Asahina: I'd like to decide what kind of route I will go with in the future while consulting with the surrounding staff and stakeholders. Ando: I heard that you are good at English, but have you learned English in songs? Asahina: I do not have experience of studying abroad and English is not fluent, but I use English in songs. However, not only in English but also in Spanish, Portuguese, and Italian singing in lyrics, customers can listen without getting tired, so we sing songs by thinking of the composition of the songs themselves. Ando: Is jazz a good genre? Asahina: I love jazz instead of being good at it, and as I got a bit of jazz in the dinner show, I got a good reputation surprisingly, so jazz is also added to the repertoire. Ando: Did you graduate from a music specialty school? Asahina: No. I graduated from the English literature course, but I always liked the music because I liked piano, percussion instruments, shamisen, koto and kouta. Ando: I was loved music extensively from Western music to Japanese music. Ando: I think that you live in Kanazawa, but are you currently active in singers based in Tokyo? Asahina: Yes. I would like to disseminate it from Tokyo to the whole country in order to make the most of the opportunities I gained. Ando: Mr. Asahina is a very kind person, but the jacket picture looks like a strong woman. Asahina: Because the title is "sometimes a lady". I have no strength like a bad lady, but I imagine a woman of this song on my own, sometimes singing mixed with cute and kindness. Ando: Major debut with transferring to Columbia, how is the current environment? Asahina: Everyone in Columbia is a nice person, it is fun and easy to work. I think that it is only with support around us, the feeling that I want to work hardly changes with boiling. Ando: Please tell us your aspirations at the end. Asahina: As "sometimes a lady" is a song whose songs are easy to sing well, if you say "Asahina Akiko" to say "sometimes a lady", I would like to do my best to be a big hit. Ando : I pray that 'sometimes a lady' can be a huge hit. Thank you very much for taking valuable time today.